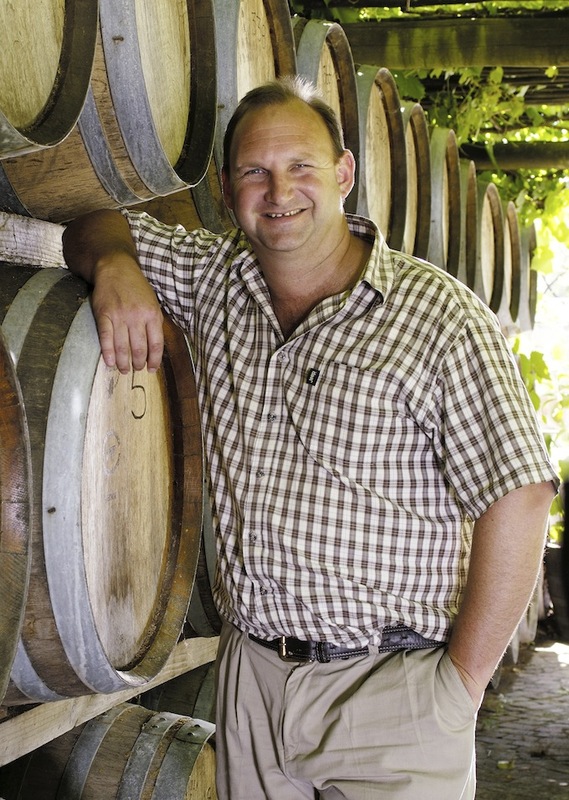 Johan Joubert grew up on his family wine farm in Bonnievale and with his father as mentor, grew up with the motto that “if you work hard for things in life, you will appreciate them more”. Pruning during the holidays with the vineyard workers on their wine farm, he fell in love with the grapevine. Having successfully completed his studies as winemaker in Stellenbosch (winemaking at Elsenburg), he succeeded making a Muratie 1995 Cabernet Sauvignon under the watchful eye of Ronnie Melck and Beyers Truter (consulting). This earned him the title of being the youngest winemaker to win the General Smuts Trophy. A further highlight in his career was winning the 2001 Robert Mondavi Trophy for International Winemaker of the Year at the International Wine and Spirits Competition in Bordeaux. Johan always stays humble in his approach and believes that the wine has to do the talking. His philosophy and study to find the best part of the soil in one sight-selected vineyard block paved the way for Kleine Zalze’s selected Family Reserve Wines, earning Kleine Zalze numerous awards locally and abroad. This was highlighted by winning the Tri Nations Trophy for their 2007 Cabernet Sauvignon Family Reserve. The recent 5 Star John Platter and Wine Magazine awards for the Cabernet Sauvignon, Chenin Blanc, Sauvignon Blanc and Shiraz sets a good platform from where he can release his maiden crafted Guild Wine. Johan has an innovative approach to winemaking without losing sight of the old principles and traditions involved. He also realizes that honesty, hard work and passion are the key elements for a successful winemaker.